HCM Architects is proud to announce the competition of the Construction Documents for Star Exhibits & Environments Inc.’s new 200,800-square-foot building in Brooklyn Park. HCM worked with a team of STAR leaders, CBRE and Ryan Companies to develop a building STAR can call home. It will include a combination of office, production and warehouse space along with an outdoor patio with seating and a fireplace; delivering a space to provide a wide range of flexibility and inventive support. The ultimate goal for the facility aligns with the vision of STAR – ‘ To create solutions which inspire people and companies to thrive.’ From hanging ceiling components, a 30’+ gallery space to Kona Coffee Café up front, all are outreaches to a visitor to help demonstrate what Star’s values and capacities are. Here are some photos from the Ground Breaking at Wright County. The excitement was evident—everyone was sporting smiles and hats! HCM is working with Wright County to design and construct a new Highway Maintenance Facility! The site is currently being prepared and construction is set to begin this fall. HCM is celebrating 17 years! This year marks our 17th Anniversary. We are excited to celebrate another successful year with clients, consultants, colleagues, family and friends on Friday February 6th! Come join us for a night of fun! Hagen, Christensen & McIlwain Architects and its Design Team are currently working on the final design of the expansion and renovation of the Public Works North Shop Facility for Washington County. The Project will completely renovate over 53,000 SF of existing space and add 47,000 SF of vehicle maintenance, vehicle storage and office space. The building and site design are following the Minnesota B3 Guidelines and will have greatly improved storm water management, site systems sustainability, energy efficiency and sustainability. The Project Team includes; Ericksen Roed & Associates structural engineering, Emanuelson-Podas mechanical/electrical engineering, Bolton & Menck civil engineering, and Kraus Anderson Construction. The Project is anticipated to start construction in the spring of 2015 and be completed in the summer of 2016. People Serving People (PSP) is the largest and most comprehensive family shelter in Minnesota. 60% of the people PSP serves are children averaging 6 years old. The facility needed to renovate their kitchen and dining room facilities to better accommodate the +250,000 meals that are served annually at PSP. HCM Architects and Premier Restaurant Equipment and Supplies partnered to renovate the existing kitchen and dining room to include new kitchen equipment, a new designated area for dish washing, and new seating configurations to increase seating capacity. HCM Architects was happy to help this great organization! HCM Architects were commissioned to design an office renovation for the City of Minneapolis Border Avenue Traffic Management Center. The architectural remodel of the building is paired with improvements to the building's accessibility, mechanical and electrical systems. The renovation encompasses ~9,400 GSF on the main level of the building that includes office, work and conferencing space, breakroom, restrooms and locker rooms. All renovated spaces will be ADA compliant and receive new interior finishes. Construction is currently underway on six Community Buildings for the City of Roseville. The buildings are located throughout the City in the following parks; Lexington Park, Autumn Grove Park, Rosebrook Park, Villa Park, Oasis Park and Sandcastle Park. These buildings are part of a larger Parks Renewal Program that is making improvements to all the City's park facilities. The Community Buildings will be year-round facilities that will support the activities of the parks, the neighborhoods and the larger community. The buildings are of different sizes and design but maintain a common image and vocabulary that support the common mission of the Parks and Recreation Department. 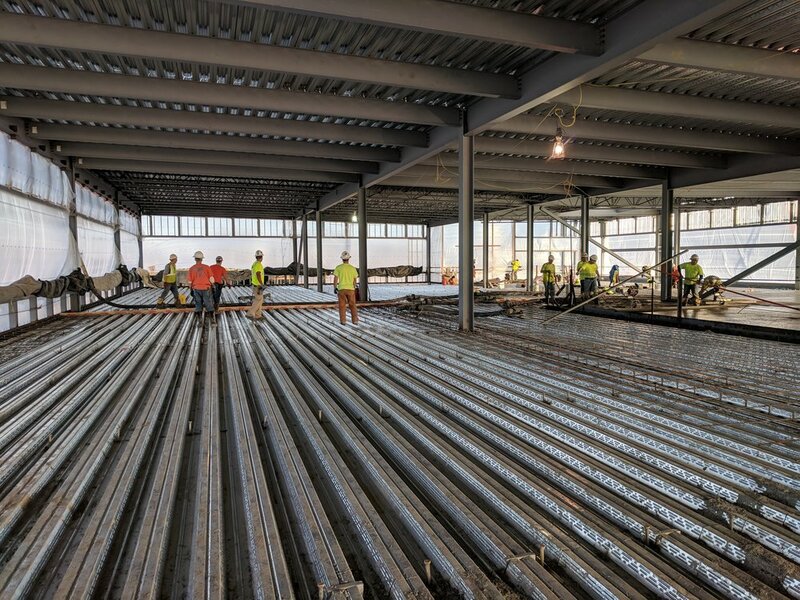 The project team and site design is led by LHB Corporation with project partners including; HCM Architects, SRF Consulting civil engineering, Mattson Macdonald Young structural engineering, Emanuelson-Podas mechanical/electrical engineering, and Knutson Construction. The Community Buildings are anticipated to be complete in the spring of 2015. HCM Architects have partnered with Kimley Horn and Associates civil engineering firm to renovate the recreation fields and their facilities of Lac Lavon Park for the City of Burnsville Parks and Recreation Department. The existing six field complex at Lac Lavon Park is one of the top complexes in the state. It frequently hosts regional, state, and national tournaments. HCM Architects designed a new ~1,300SF concessions and restrooms building for the site that will become the centerpoint from which four ballfields radiate. The style of the building is simple yet strong, with steeply pitched rooflines that extend well beyond the exterior façade. Horizontal, linear siding wraps the building and sits atop a brick base, coordinating with the surrounding residential context. HCM thanks Kimley Horn and Associates, Mattson Macdonald Young Structural Engineers and Emanuelson-Podas Consulting Engineers for their collaboration with this project. Bad Weather Brewing Company owners Zac Carpenter and Joe Giambruno have commissioned HCM Architects to design their first brewery and taproom on West 7th Street in Saint Paul. Creating a brew to table beer experience is the main idea guiding the design for the brewery. Visual sightlines of the brew tanks provide beer lovers a direct connection with the beer they'll be tasting. The storefront of the brewery will have retractable garage doors that open and bridge the indoor taproom and event areas with the patio along West 7th Street. More to come as construction begins! Located in the northern part of West Saint Paul, Harmon Park is one of the city's oldest residential parks dating from the 1920s and largest with almost 11 acres of space. HCM Architects and SRF Consulting were commissioned by the City of West Saint Paul to renovate Harmon Park which had not been updated since 1987. The city plans to redevelop the four existing ball fields on site in a new pinwheel configuration that will allow for simultaneous full usage for youth teams. The fields will also have perimeter fencing, dugouts, bleacher seating and irrigation. The renovation will also include a new concessions building located at the ball fields, a new warming shelter building for winter sports and a new community building with public meeting and office space. All three facilities will have public restrooms located within. The design of the buildings lends to a traditional style that mimics the surrounding residential context but also has simple modern elements such as angled bay windows, extended roof lines and exterior arbor structures. The facade pallet is consistent among all three buildings and also remains traditionally classic with burnished stone base at the walls, linear wood panel siding and trim that uniquely wraps the buildings. HCM Architects looks forward to the final completion of the Harmon Park renovation! We would like to recognize the efforts of our additional project partners also; Emanuelson-Podas Consulting Engineers and Mattson Macdonald Young Structural Engineers. HCM is excited to be assisting Faithful+Gould on the design of their new office space at the Plaza VII office tower in Minneapolis. The space is designed to have a contemporary, open feel without being cold or sterile. The shell of the space is nearly ready and in the next several weeks custom millwork, booths, soft seating work areas and frosted glass walls will be installed. Temp Window Enclosures have been installed and window restoration started. The loading Dock Removal is wrapping up. Abatement Continues and slab removal in Lower Level continues. Level one compete demolition is nearly finished. The design team continues to work through the historic process with Window mock-ups and brick matching. As the demolition continues the sea of columns are being exposed; the new stair wells and shafts are being cut in. What a transformation as we get down to the old infrastructure. Roosevelt is wrapping up quick; finishes and millwork are being install and are looking great. It’s amazing what some color and wood can do to a space. The ceiling and lighting are complete and cap the space to enhance the cozy ambiance of this small library. Rumor has it there is a lot of excitment for the grand opening this spring! We know we are! HCM is excited to have another project underway with Cummins. This one is at their Tech Center Facility on the Fridley, MN campus. 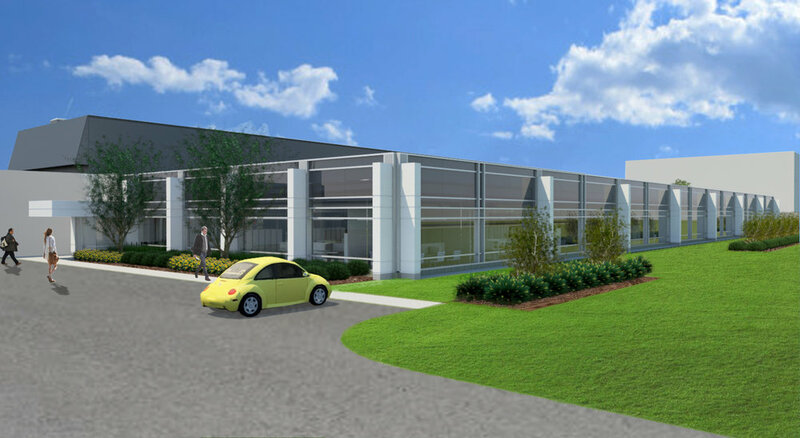 Valspar’s Building 4 - Phase 1 is underway! Phase 1 in the complete restoration and reuse of Valspar’s Building 4 has just kicked off! Valspar’s campus is comprised of four (4) buildings. Buildings 1 through 3 are now utilized by Valspar for laboratories and office support space. Building #4 was formerly known and used as the Administration Building by Valspar. The building has been vacant since Valspar moved its headquarters further downtown. Valspar is renovating this building for their North American Research and Test Lab capabilities, reusing this facility will stimulate a consolidation into one campus; named the Valspar Applied Science and Technology (VAST) Center. Building 4 is in reality comprised of two adjoining buildings, at that time MN Linseed Oil Paint Company, both portions very rich in history and charm. The first is a 5-story building that was constructed in 1903 with a wood timber structural frame, wood decking and load bearing masonry exterior walls. This building incorporates 88,266 GSF. The second is a 3-story building that was constructed in 1912 and has a poured in place concrete framing system, one way concrete slabs and a load-bearing masonry exterior. This building incorporates 82,374 GSF. A common load-bearing masonry wall separates the two buildings which includes openings that pass between the two buildings. This wall was the former exterior east wall of the 5-story building before the 1912 addition; the buildings are now used and seen as one building. Building 4 is programed in two parts, the research and test laboratories in the 3-story portion and office support and storage functions in the 5-story; all proposed in a multi-phase build-out. Simultaneously as the design team worked with Valspar on the design and programing of the building, the team also worked to complete a SHPO -Historic Preservation Certification Application. The goal is to have this building including the connecting building #1 registered on the National Historic Preservation List. Valspar saw the opportunity to restore a historic building that has a deep history with the city and with Valspar into a world class R&D faciltiy. The overview of the work to be included in the next year of construction include: The exterior portion –the update of the building’s envelope; the building’s exterior will be cleaned, some re-pointing and replacement of deteriorated brick and crumbling grout. Damaged terra cotta will be fixed while new structural supports will be installed for the highly decorative cornice. Completely new roof system, and complete restoration of all the wood and steel windows. The outdoor parking lot will be revitalized, parking spaces will be restriped and updated landscape is anticipated. Consistent with R&D standards, the inside will have plenty of natural light, modernized lab spaces and updated building systems. The goal here is to provide efficient staff work and lab areas, create accessibility spaces appropriate to the lab functions and energize the overall interior; keeping the balance between the rich historic industrial shell and the innovative technology and knowledge inside.